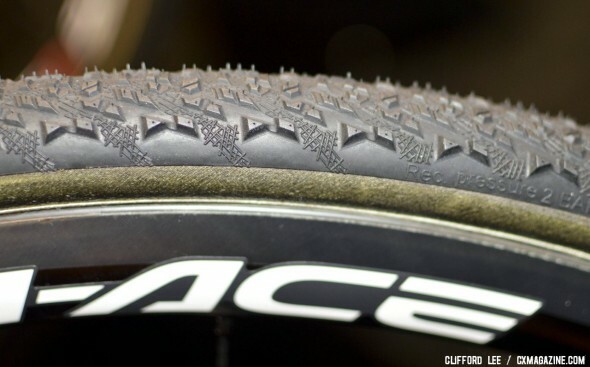 France’s Hutchinson SA tire company has been hard at work updating and modifying its cyclocross tire lineup in recent years, and the introductions have been quite impactful. 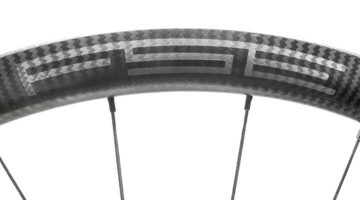 The company introduced the first-ever “tubeless-ready” cyclocross tires with the Bulldog and Piranha in 2007 that didn’t quite uphold the promise of low-pressure, then refined the designed with a tight, stiff carbon bead that delivered air-tight results when paired with a Road Tubeless rim. 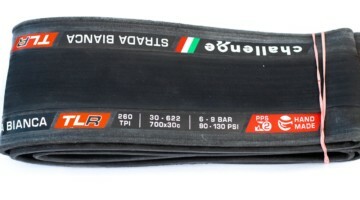 Last year the company abandoned “tubeless-ready” tires last year in favor of narrower UCI-compliant-width clinchers. You certainly can’t say that Hutchinson has been ignoring our sport of cyclocross. For this season, there are more changes in store, with the lightweight, versatile 32c Toro and fast-rolling Piranha 2 (reviewed in Issue 17) fully available in clincher form, and a new set of tubular options along with a new tread design called the Mamba that is set to eventually replace the low-profile, fast rolling Piranha tread. Dugast tubular fans who might thumb their nose at Hutchinson’s clincher and tubular options should take note that the company actually manufacturers the rubber tread for all Dugast cyclocross tubulars, and thus some benefits from the relationship have benefited Hutchinson’s own tubular product offerings. At Interbike 2012, Hutchinson’s cyclocross tubulars were on display, the Mamba tread for dry terrain and the Toro for muddier conditions. The Mamba is an update to the Piranha tread, which will be completely discontinued when the Mamba comes into clincher tire production. For now, it is only available on the tubular and definitely looks more aggressive with more sophisticated side knobs and an assortment of low-profile smaller knobs. The tubulars have a 260 tpi polyester/cotton casing and are handmade in Thailand for Hutchinson. 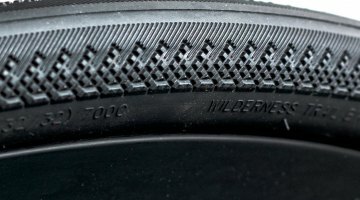 Since most Hutchinson tires are still made in France, the country of origin suggests that Hutchinson outsourced final construction of this tire to a large Italian tire company, but wouldn’t officially confirm this. The Mamba tubular weighs 400 grams and the Toro tubular 410 grams. Both tubulars retail for $119 USD. 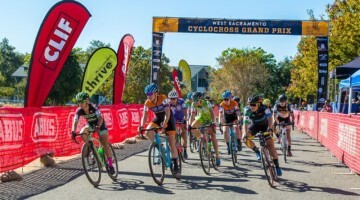 Tubeless fans shouldn’t fret that the company has given up on tubeless tires for cyclocross, and confirmed that they have more products in the works that should please those of us who have realized the promise of tubeless cyclocross tires (See Going Tubeless for Cyclocross Part 3). 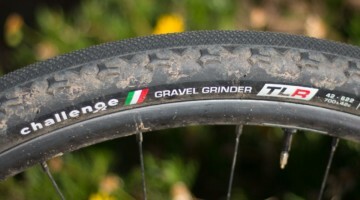 Love to geek out on cross tires? You’re in luck – stay tuned as we’ve got a bunch of cyclocross tire news from Interbike still to come. Also if you haven’t seen it yet, check out a digital version of Issue 13 for our comprehensive piece on the history of cyclocross tires! 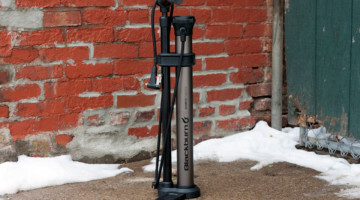 Also, don’t miss our endless stream of cyclocross tech content from Interbike 2012.